Soli Day has been arranged for the people of Tailevu next Thursday and Friday with an allocation of fifty dollars per head. The contribution will be divided into three categories whereby twenty dollars will go towards the Education pool, another twenty will go back to every village and ten dollars to assist the Provincial Office. Tailevu Soli Day committee Chairman Ratu Epenisa Cakobau is inviting everyone for this event as this will be of benefit to all the people within the province. 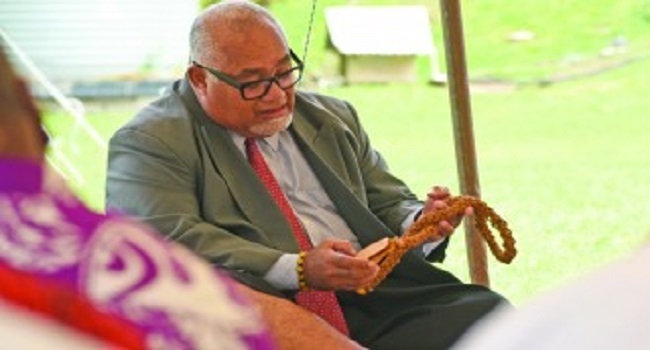 Ratu Epenisa says the soli day which will be held at the Gatward Park in Korovou is the continuation from last year where the committee had collected $216,000. The target he says is to collect $1.8 million after three years of contributions.